Sometimes you need intense waterproof protection without extra weight, which is exactly what the686 GORE-TEX® GT Snowboard Jacket offers. This men's ski shell is made of two layer-stretch fabric that's guaranteed to be 100% waterproof, thanks to an outer layer that repels water and an inner layer that wicks away moisture. This tech allows it to be highly breathable, but in case the temps really warm up, you can unzip the mesh vents or unzip the Merino wool collar to cool down a bit. 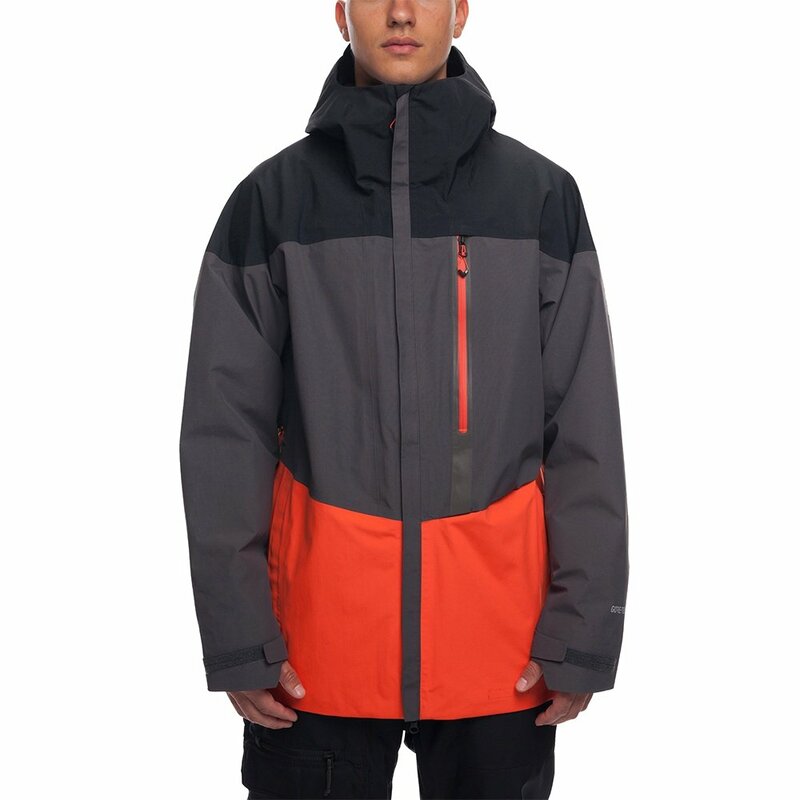 The GORE-TEX® GT Jacket is made for backcountry snowboarders and riders who demand the best from their gear. This feature-heavy jacket has plenty of pockets, no-tangle earbud loops, a zip-out powder skirt and so much more. This shell is 100% waterproof thanks to a two-layer GORE-TEX® construction, waterproof zippers, and sealed seams. Connect it to select 686 pants for a head-to-toe barrier, or just tightly cinch the adjustable hood and cuffs.